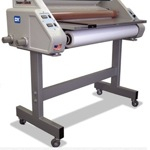 If you are shopping for a wide format roll laminator, the one thing you will find is there are a lot of them on the market. They come in many sizes with different widths, temperature settings and how you apply the lamination. Lamination provides a large variety of options that not only help your clients meet their objectives but also helps you profit from your projects. Should you get a Thermal Hot Roll Laminating or Pressure Sensitive Cold Roll Laminating? The difference is quite simple. Hot thermal laminating uses heat to activate glue on laminating film to adhere to your printed item. Pressure sensitive lamination does not use any heat and simply uses pressure to adhere to your printed piece. It functions a lot like tape. When is it best to use Thermal over Pressure Sensitive Laminating? Thermal is best when the material you are using will not be affected by heat. By melting the laminating film onto your substrate, it will give it the best protection. The obvious reason for using pressure sensitive laminating film is when the substrate you are laminating can not handle the heat, so keep it out of the kitchen. 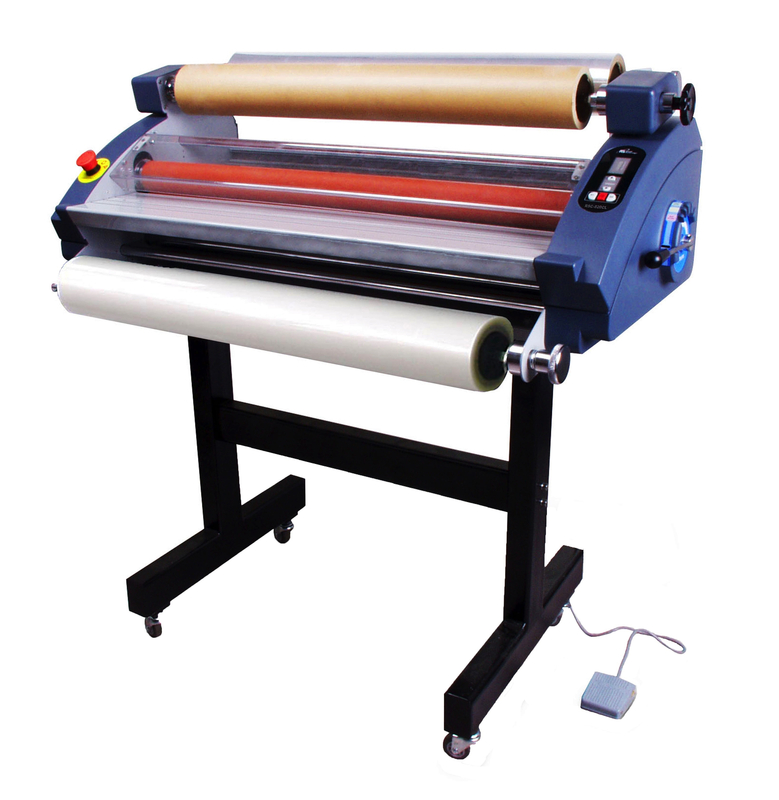 Cold roll laminators press the lamination onto the substrate without any heat. What width size should you buy? You have a lot to choose from here. They come from sizes starting at 15” wide to as wide as 65”. If you are a small print shop, a 15” to 30” could sit on a tabletop and provide you the ability to do small on-demand projects for clients. The larger wide format laminators from 35” up to 65” will have their own stands and need some space to operate. 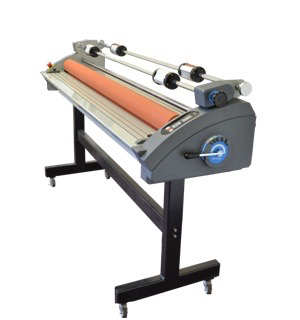 Some roll laminators can accommodate multiple sizes, but you will find that most wide formats operate with a 3” core. The roll thickness comes in mil sizes. 1 mil being the lowest and up to 10 mil being the thickest. So, if you are laminating a menu, you may want a thicker mil size to ensure it is durable after being handed out to many customers.